Reading the Wall Street Journal this week, we came across an interesting article by reporter Ralph Gardner Jr., who writes the regular column Urban Gardner. In exploring his Jewish roots and his city, Gardner writes from time to time about unusual and unexpected Jewish presence in New York. 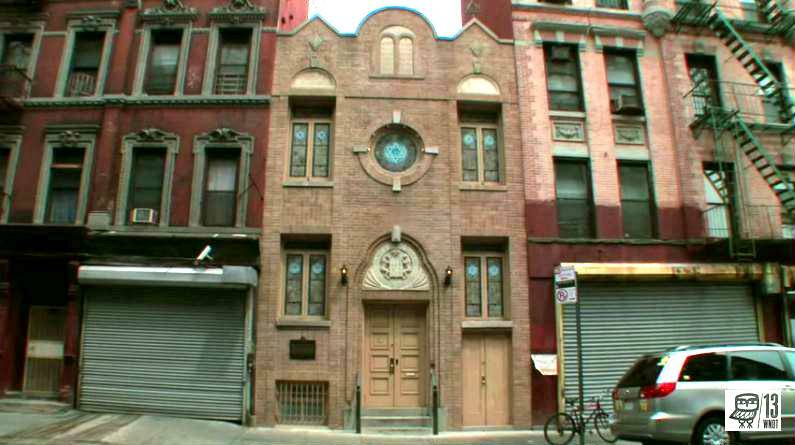 This week he wrote about Kehila Kedosha Janina, the last remaining Greek Romaniote synagogue in the Western Hemisphere, located on Broome Street on the Lower East Side of Manhattan. Like him, we had never heard of Romaniote Jews. With the help of Gardner's visit to the shul and some Googling and YouTube searching, we got a bit of an education that we're sharing with you this erev Shabbat. It’s a community of Greek Jews more than 2,000 years old. They came to the U.S. starting in the early 1900s; the synagogue on the Lower East Side opened in 1927. The congregation is named after the town of Ioannina (Janina) in Greece. According to legend, Jews swam ashore there in the year 70, escaping from a Roman slave ship. Geographically isolated, the community developed traditions and remained Greek speaking even after the post-1492 influx of Jews expelled from Spain during the Inquisition. Ms. Ikonomopoulos said it’s impossible to say how many belong to the congregation because there isn’t paid membership. However, there are enough members to hold services and everyone is welcome. “We have become the center for Romaniote Judaism in the world,” she added. In this video, members of the congregation talk about the synagogue and its place in their lives. I grew up on Lower East Side and thoroughly enjoyed this historic video. We lived near the shul. Thanks.